Designed for the total novice, CBT will take you from zero experience to achieving a minimum standard of safety and competence, as set by the Driver & Vehicle Standards Agency (DVSA). Elements A to D will last approximately 4 hours. Element E will be at least two hours in full radio contact with your instructor with an instructor/pupil ratio of no more than 1 to 2. When your instructor is happy with your riding you’ll be issued with a certificate of completion of training (DL 196). 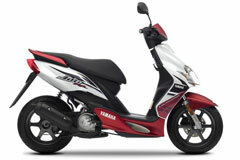 The certificate is valid for two years and will allow you to ride a learner legal motorcycle or moped. If you do not pass your practical test within two years you will need to complete another CBT course to acquire a new certificate. In element A your instructor will check that you have all the legal requirements such as the correct driving licence**, insurance and a roadworthy bike with road tax and MOT (if bike is over 3 years old). L plates must be displayed front and rear, as near to vertical as possible and without being cut down. After completing a CBT a 16 year old can ride a moped. 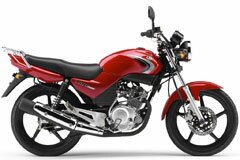 17 and older can ride a learner legal 125cc machine. *If you passed your car driving test before 1st February 2001 then you do not need to complete a CBT if you wish to ride a moped, although it is recommended. The driving licence automatically gives you full category 'p' moped entitlement. ** You must have category 'A' on your provisional licence if you wish to ride any bike bigger than a moped. Courses run most days, beginning at 9am and continuing until training is completed - usually around 4pm but no later than 6pm. CBT extra is a course we've devised to give new riders extra experience on the road before flying solo. Day 1 will be a regular CBT but day 2 will be a day's riding with one of our team. This is a great way for novice riders to get valuable real-world experience whilst in constant supervision and guidance from our experienced instructors.